Select Wines & Spirits is a company founded by Pierre L. Doise in 1982, and has grown to become one of the most successful privately owned import wine and spirit agencies in Canada. This is an example of retail packaging for a gift they were giving away with their wine. 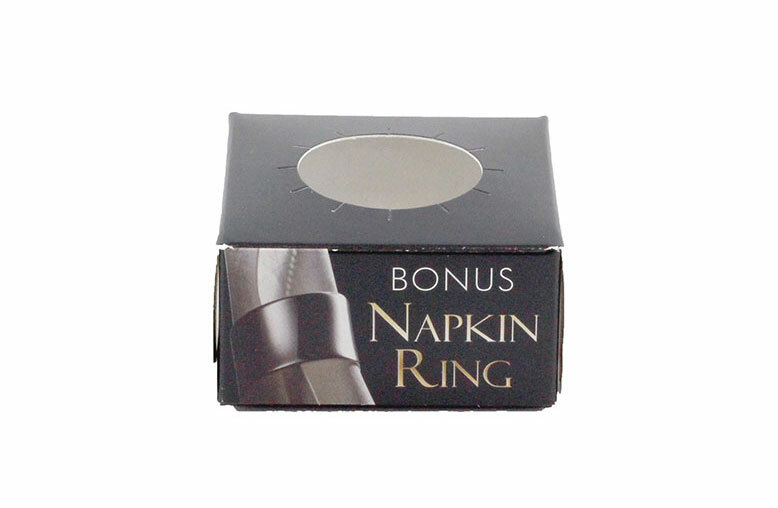 It is a napking ring and the box is made out of folded carton. If you would like to talk about how we could help you packaging your corporate premiums or gifts please contact us.